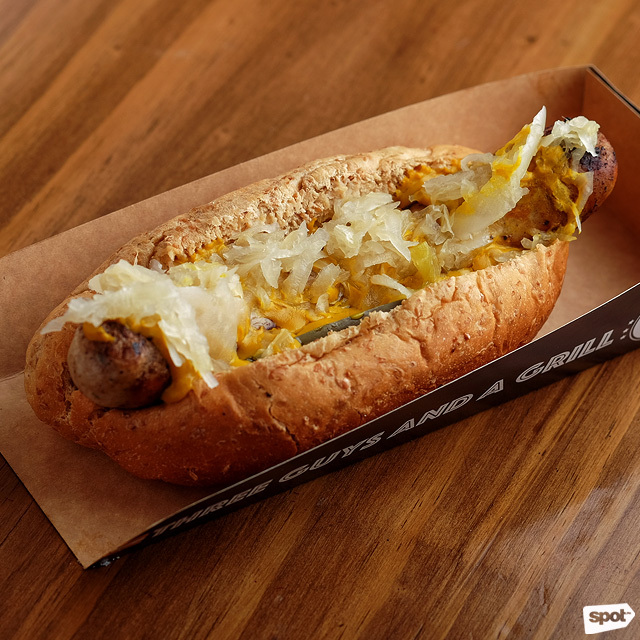 (SPOT.ph) Long or short, thin or thick, you gotta love a good, meaty sausage. Whether it’s Spanish chorizo or German frankfurters, they're something you can enjoy in a variety of ways. 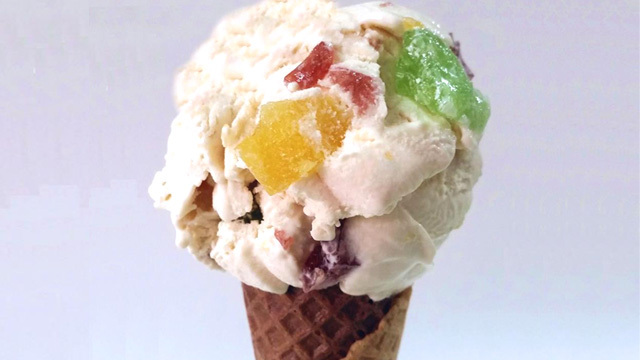 Pair them with beer, have them with bread, or just scarf them down on their own; either way, you’re sure to have a treat. We’re all about scouring delicious finds around the Metro, so here’s a list of 10 places where you can get quality gourmet sausages. Here’s a homey little joint that’ll give you a piece of Germany. Wagner German Bakery has all kinds of delicious European treats for breakfast, lunch, or dinner. 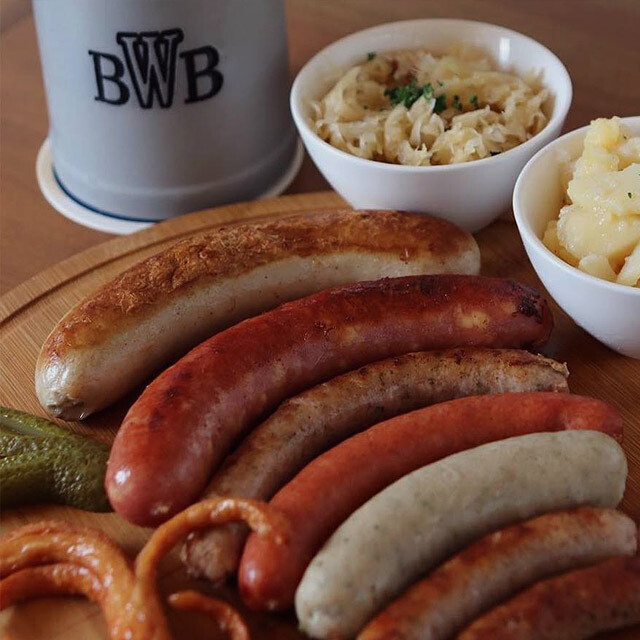 Indulge in their hearty Currywurst (P330), a sausage platter served with potatoes and drizzled with some homemade curry sauce, or the classic Nürnberger Bratwürste (P480), a whopping plate of grilled sausages with a side of zesty sauerkraut. Wager German Bakery is at 109 Valero Street, Salcedo Village, Makati City. Poco Deli may be a small place, but they’ve got a big offering of dishes for you to feast on including some fine European cold cuts and cheeses. 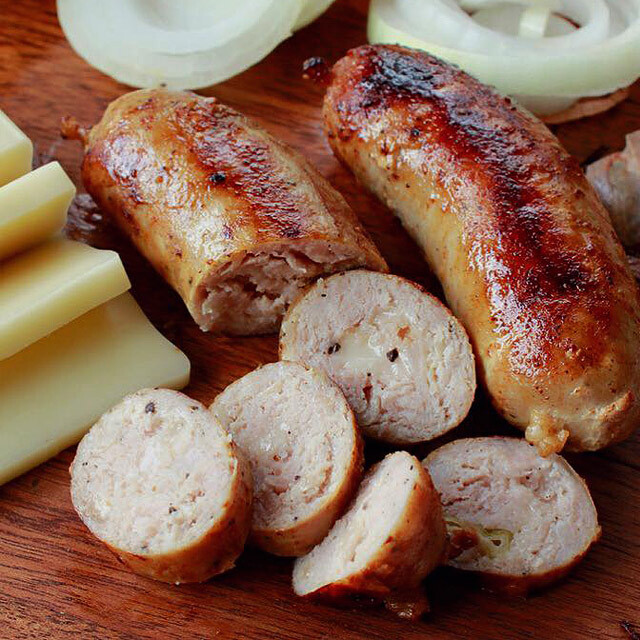 When you aren’t sure where to start, have their Sausage Sampler (P650) that features fresh and handmade kielbasa, bratwurst, nürnberger, and chicken sausages that work perfectly with their house wine. For your next meat fix, why not go organic? The Butchery is the perfect place to visit when you want some handcrafted artisan sausages either for takeout or a quick dine-in meal. Grab a pack of their Longganito (P290) for your next night-in, or you can always order their sampler pack, which has seven of their best-selling sausages to give you a little taste of everything. The Butchery is at Scout Tobias Street, Barangay Laging Handa, Quezon City. Their ice-cold German beer on tap isn’t the only thing that keeps people coming back. Their würstel (or sausages) come in many sizes and forms that could please any appetite. 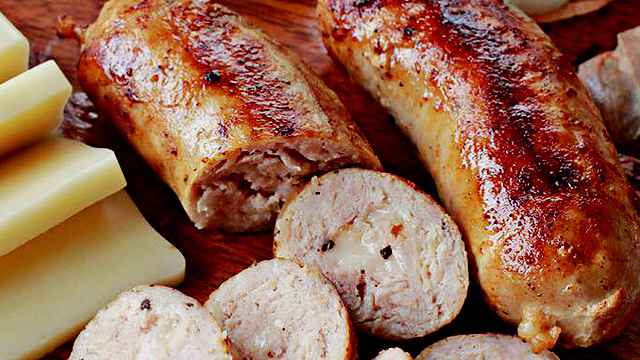 Take, for one, their beer-infused pork sausage, the Bierbeisser (P250). It's served with pickles and mustard and is a great companion to their tangy sauerkraut (or braised white German cabbage). For something to really get your taste buds going, munch on the Currywurst (P430), or pork sausage slathered in a chili-curry sauce with a side of thick potato wedges. See a list of Brotzeit branches. Wursty Wursty is a German-Turkish-themed food and beer garden that’s worth the trip to McKinley Hill in Taguig. 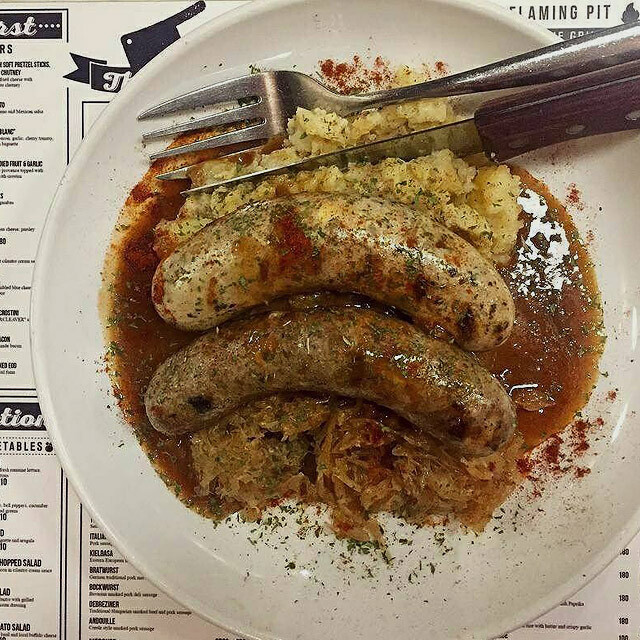 They serve many kinds of mouthwatering dishes for you to enjoy, but their gourmet German sausages deserve most of the spotlight. Order their Sausage Platter (P620/three kinds, P999/five kinds) and indulge in their Smokey, Smokey Cheese, Hungarian, Pepperoni, and Frankfurter variants, among others. Wursty Wursty is at Tuscany Estate, Upper McKinley Hill, Taguig City. While spätzle is technically a German pasta dish, the Spätzle we're talking about serves plenty more than that. 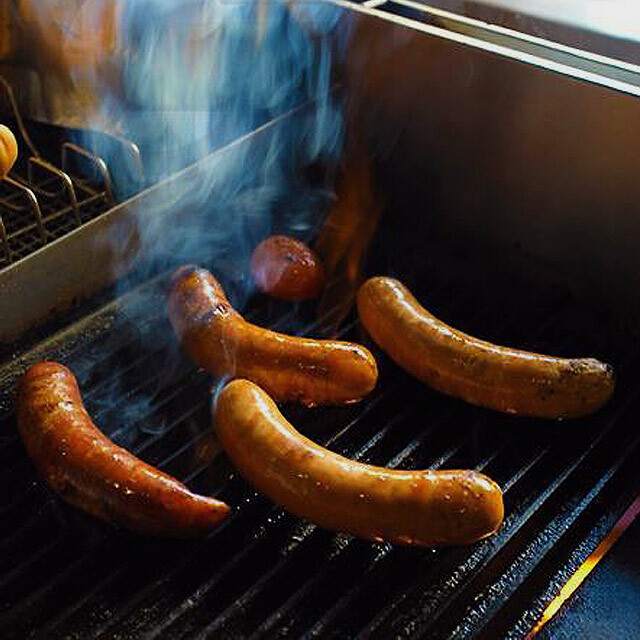 They've got some gourmet sausages for you to feast on from morning to night. While their flavor may seem quite unfamiliar to the Filipino palate, you're sure their sausages are the real deal. 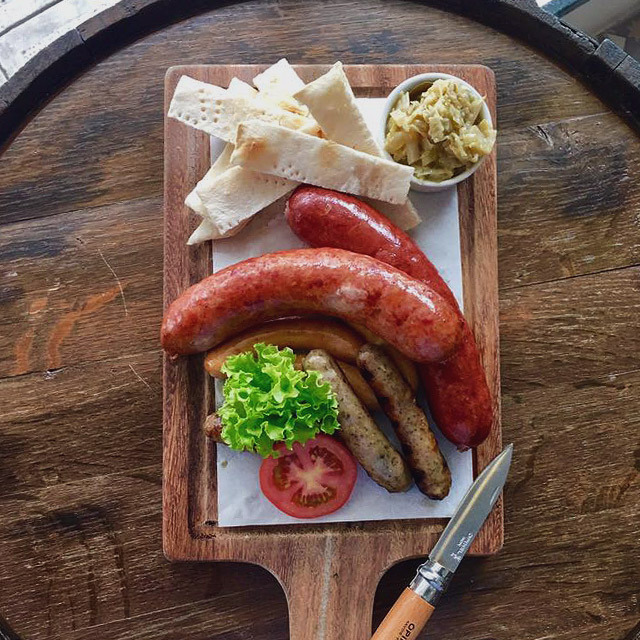 Bring some friends to take on their Artisan Sausage Platter (P685), a huge platter that gives you three choice sausages with crispy fries to see what we mean. Spätzle Euro Market Café is at 5/F Shangri-La Mall, Mandaluyong City. When you’re hesitating to brave the traffic along Shaw and EDSA during rush hour, why not hang out at The Deli? With a homey ambience, you’re sure to find a new happy place, especially after you’ve indulged in their bold and savory sausages. They have a great wine selection, too. Their Garlic Sausage (P185) is a must for garlic lovers, and you can’t go wrong with the peppery Lamb Sausage (P335) either! The Deli is at SCT Building 1, 584 Shaw Boulevard, Mandaluyong City. 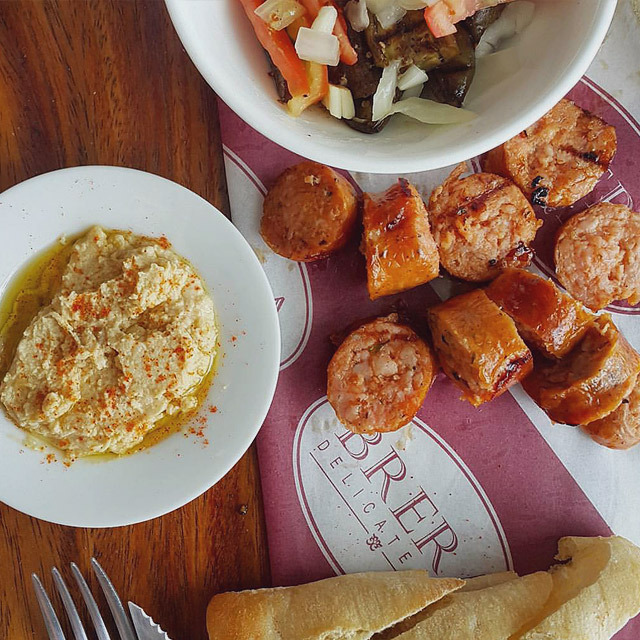 Brera Delicatessen is a neighborhood deli in Alabang that serves up some awesome charcoal-grilled sausages. Take your pick between their Hungarian or Italian Pork variants (P495) or treat yourself to a Lamb or Beef Sausage (P575). You’ll also get a side of fries and coleslaw to go with your meaty treat. Brera Delicatessen is at Molito Commercial Complex, Alabang, Muntinlupa City; and Acacia Estates, Taguig City. Spice and Cleaver is a haven for meat lovers. When you’re looking for gourmet sausages that are a step up than the classics, have their Pizza Sausage (P320/piece, P580/two pieces), a thick sausage infused with Italian spices, sundried tomato, and mozzarella cheese. They even have an Adobo Sausage (P320/piece, P580/two pieces) to cater to the Filipino taste. Spice and Cleaver is at B/1 Estancia Mall, Oranbo, Pasig City. For when you’re more about the sausage than the toppings, Three Guys and a Grill has got you covered. 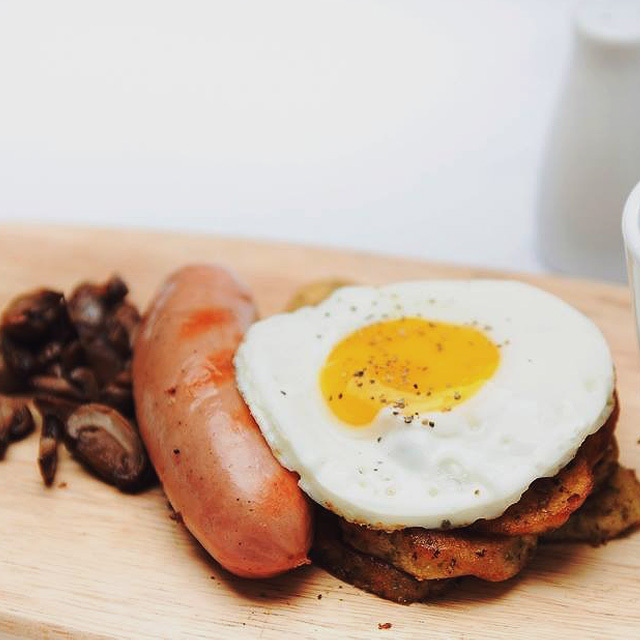 Their dishes are all about putting great-tasting sausages under the limelight. For fans of spicy food, the Anghang (P180), with its peppery lamb sitting beneath a blanket of barbecue sauce and jalapeños is your best bet. Meanwhile, their Bird Dog (P180) is a chicken curry sandwich that’ll change your mind about bland chicken hotdogs. 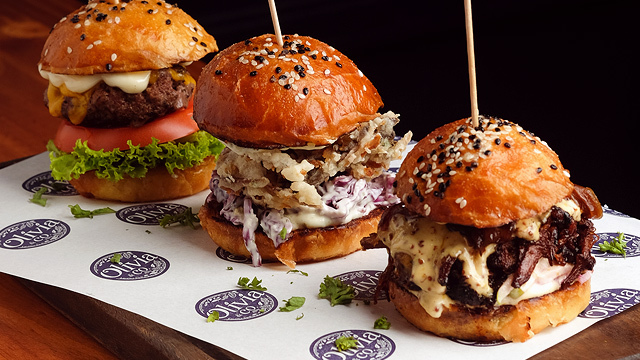 Three Guys and a Grill is at 4364 B. Valdez Street, Poblacion, Makati City; and 4/F Shangri-La Mall, Mandaluyong City.